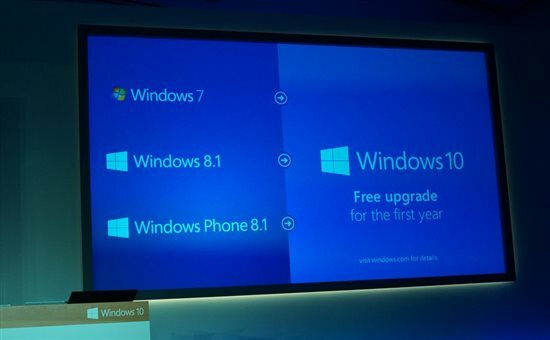 That's a pretty big deal—Microsoft no doubt realizes that people are hanging on happily to Windows 7, but the chance of a free upgrade could prove tempting. For PC gamers, it'll mean free access to DirectX 12, which won't be supported by Windows 7. TAW is Honor, Friendship, Fair-play, Loyalty and The Place to be!! that being said I wont be upgrading for some time even after it comes out anyhow. 7 works well enough for my needs and learning a new system isn't needed just to play games. directx12 though. if it gives enough benefits could prove worth it. Thanks for the info but I am staying with Win7 Pro. I have help many of my family and friend remove Win8 and put Win7 on there PC. - Here's to hoping they learn from mistakes. Thanks for the info, but since the option is available for the entire first year I wont be one of the first taking the leap. Gonna wait for feedback and some fixes before I do anything. I have 8.1 Pro and have had no issues with it. The UI takes a little getting used to but it is no different than picking up a new game and acclimating to that. I share the opinion of waiting for 6-10 months to pass and seeing how its release goes before utilizing that free upgrade but I don't see any problem in doing so. 8.1 is faster, utilizes more of your hardware and is a sleeker more formatted OS. I also have 8.1 Pro and use a program called Start8 that puts the Start button back. It looks and feels like Windows 7 but has the power of 8.1. I will also be waiting a few months to ensure that Windows 10 is stable and performs adequately. That would be a BIG wait&see. I hate Windows 8 and it's UI and overall way of working and so do my whole family and friends. It brought more frustration than joy. So unless there are huge benefits, I ain't budging from windows 7. DX12 will be the main huge benefit I believe. Also, Win 8.1 and 10 have/will have better cutting edge hardware support, such as NVMe native support. Windows 10 will be released on July 29th. Will put Windows 10 on the laptop initially and test the waters. The pc will be upgraded once I am confident. I have been running windows 10 most of this year, an excellent system far superior to win8 i will going over to it on the day or release. Its so much like win 7 but superior.